Home | Newsletter 177: Will You Take A Stand for Cocoa Farmers & Against Child Labor? Newsletter 177: Will You Take A Stand for Cocoa Farmers & Against Child Labor? 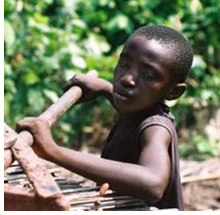 Can We Get 10,000 Signatures for Cocoa Farmers & Against Child Labor? The chocolate industry is known to have a long and deep problem with forced and child labor. Many mega food companies know that they need to clean up these supply chains, but the reality on the ground is that change is happening slowly. Mondelez recently took a step backward, retracting their commitment to fair trade and guaranteed minimum prices in favor of their own Cocoa Life program. Now that global cocoa prices are dipping, experts are saying that low incomes will likely force more farmers to send their children into the fields. Let’s get this petition to 10,000 signatures telling Mondelez that fair minimum prices are a must–take action and share with your friends! June marks the beginning of strawberry season in Washington state and for the first time in four years, pickers at Sakuma Brothers Farm are starting the season not mired in disputes. 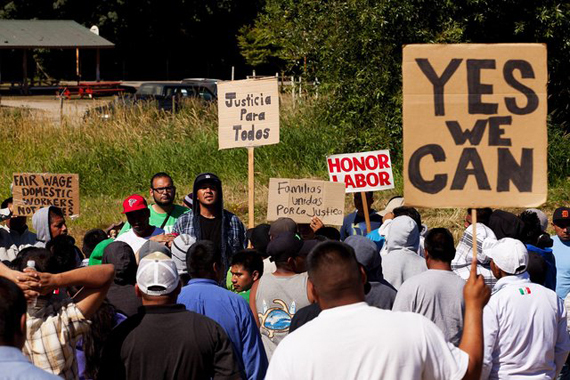 Instead, they have agreed to a union contract guaranteeing fair per-pound rates and other key elements of fair and dignified work. It’s been a long struggle to get here, but we congratulate both parties on reaching an historic contract in a food and farming system that’s all too often a race to the bottom for farmers and workers alike. Thanks so much to all of you who signed past petitions in support of the berry pickers, when we stand together, we really can make a change!